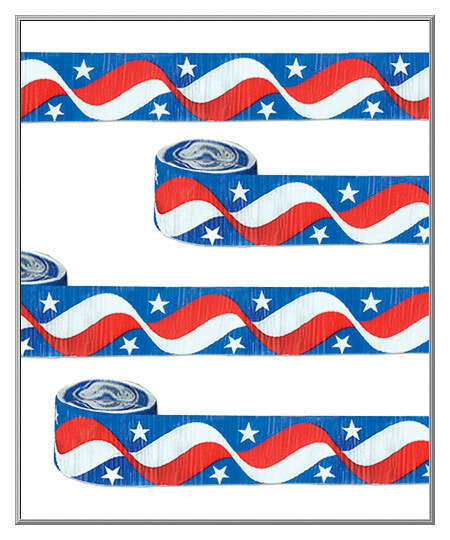 Roll of 30 ft. ~ Made in U.S.A. 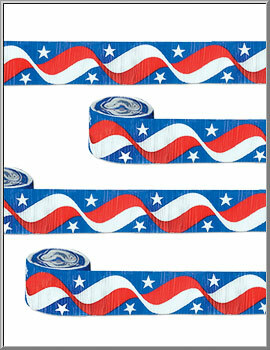 Printed in bright hues of red, white and blue, this festive design of streamer is a natural for any patriotic holiday or event. A traditional decorative frill to use for Independence Day barbecues and parties as well as for parade floats, it's great for crafting, too. Streamer is bleed, fade and flame resistant. Sold as one crepe streamer. is 2½" wide and 30' long.